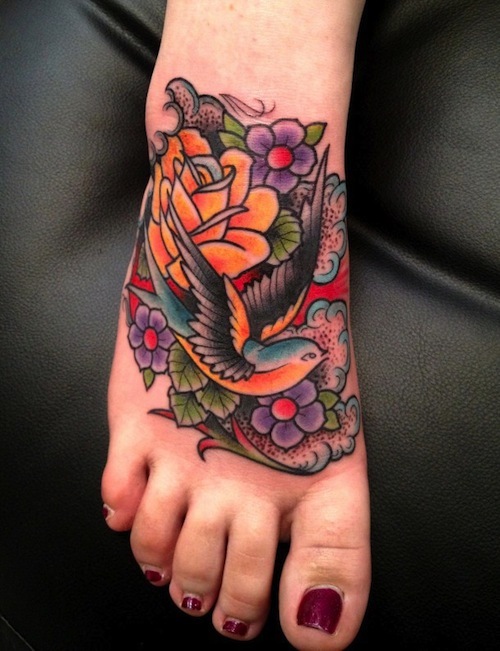 Foot tattoos are not for everyone, but for those who choose to sport a foot tattoo, there are different styles that can be flattering to the feet that vary greatly. From old school to mandala, to realistic, and script, there are many tattoo choices that would be perfect for this part of the body! The feet have many different parts to it, including the toes, the ankles, the heels, which make it complex and interesting, and a prime location for some creative tattoo ideas. 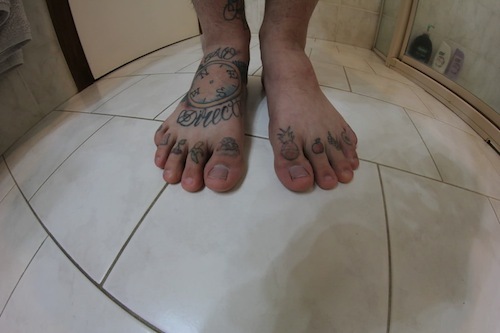 If you have a career where tattoos are not allowed to be seen, the foot is a good choice because we all wear shoes! 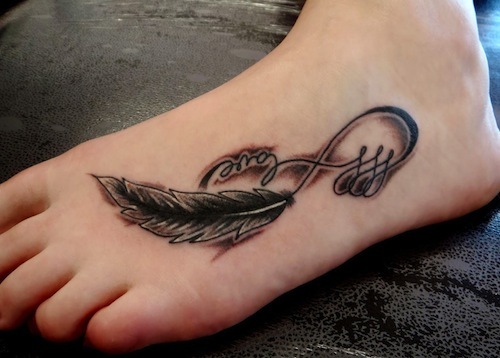 If it is your first tattoo, a small tattoo on the foot is an excellent idea. 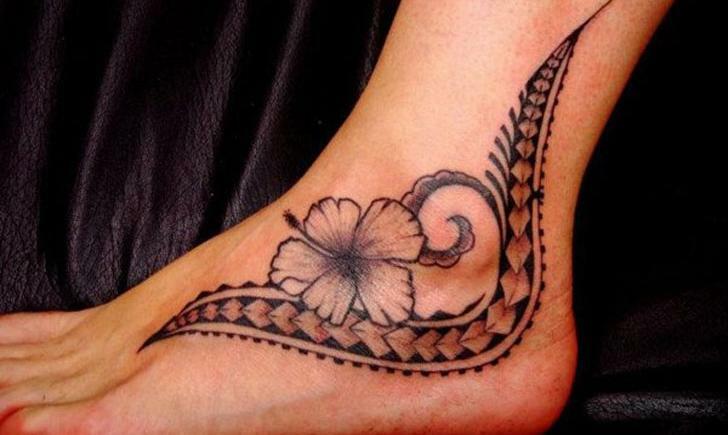 Are you considering getting a foot tattoo? Need some ideas? 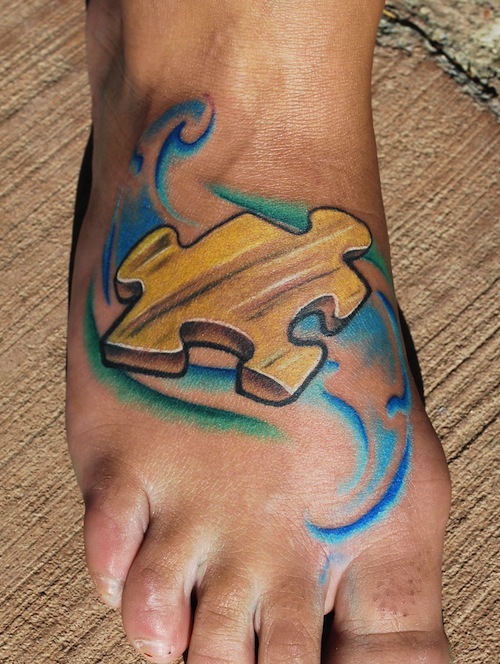 Here’s a colorful flowing design with a puzzle piece, most likely to honor a loved one who has autism, as the puzzle piece is a symbol of awareness for autism. Here’s a colorful and detailed old school/traditional style tattoo of a sparrow, yellow rose, and other flowers. 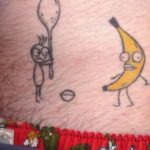 This tattoo wearer has little fruit icons on each toe, as well as a compass with script on the right foot. How fun! Normally, foot tattoos are on the tops of the feet, but this wearer decided to go big or go home, and get detailed, mandala style ink on the bottoms and heels of the foot! 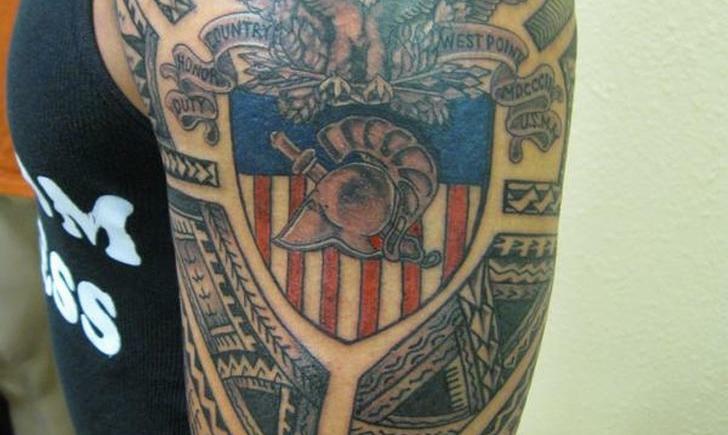 Painful, but worth it! 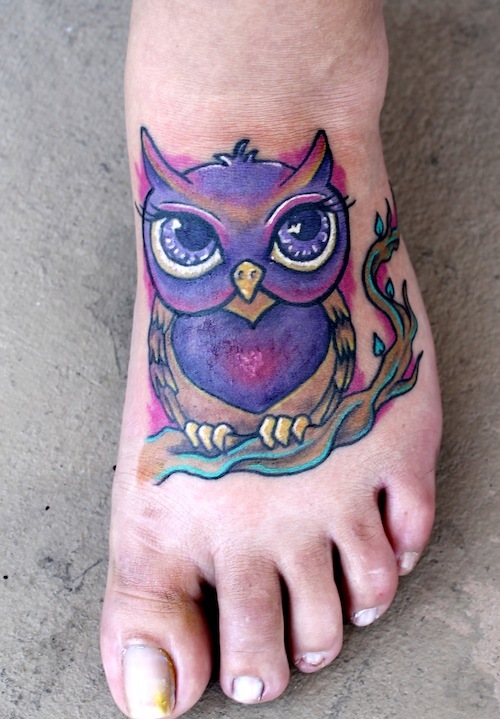 Check out this adorable purple owl tattoo! 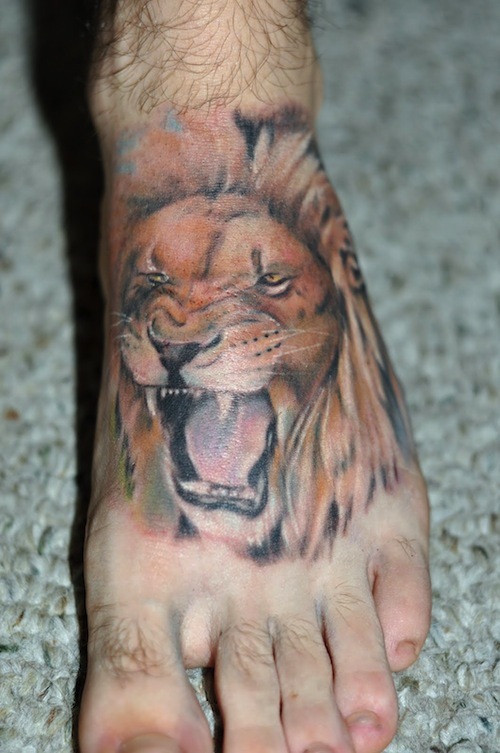 A realistic roaring lion for a foot tattoo? Definitely! Why not? Here’s a beautiful script and feather 3D tattoo. 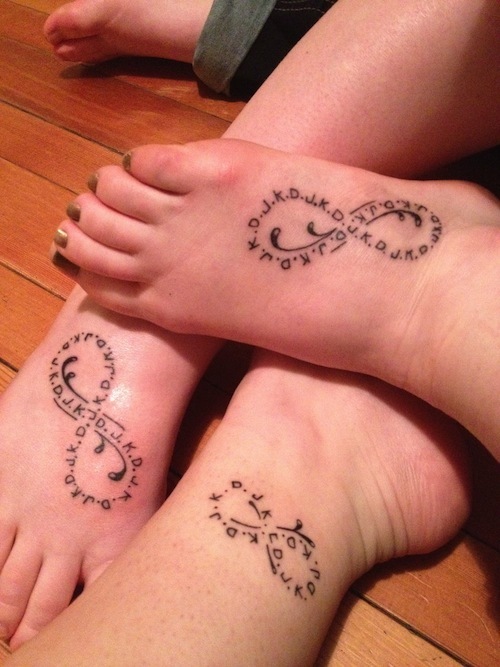 These three friends (or perhaps siblings) decided to get the same infinity design on their feet and ankle. 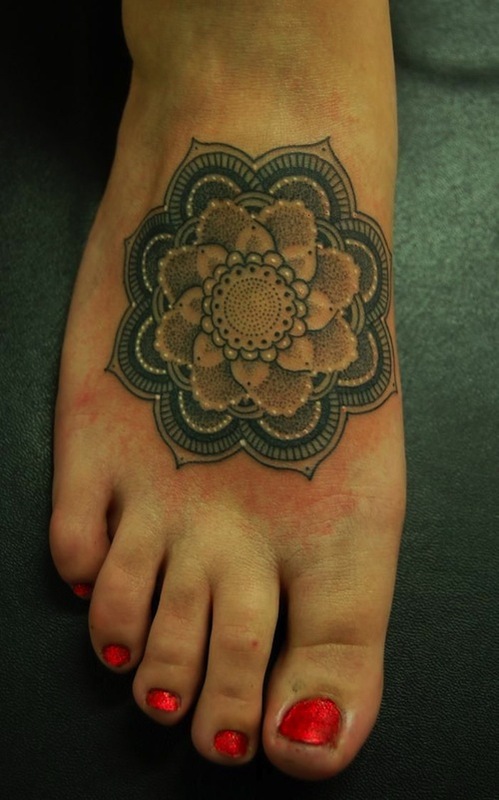 Wonderful mandala tattoo complete with white highlights for this foot tattoo enthusiast. 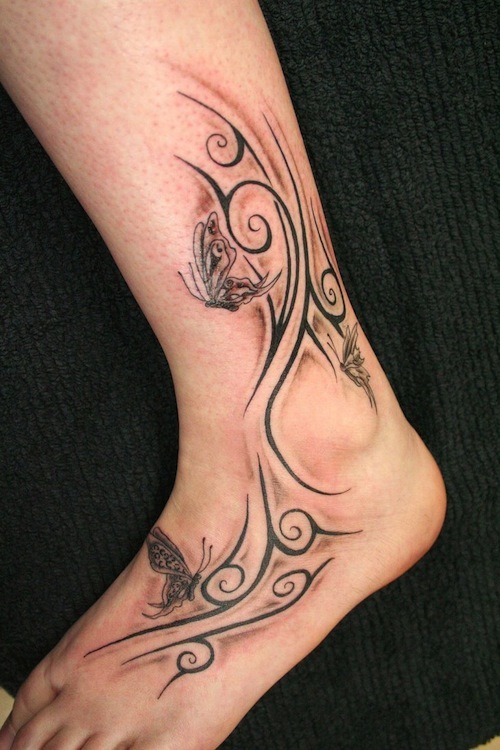 Lovely butterfly and black swirl designs are on the foot and above the ankle. 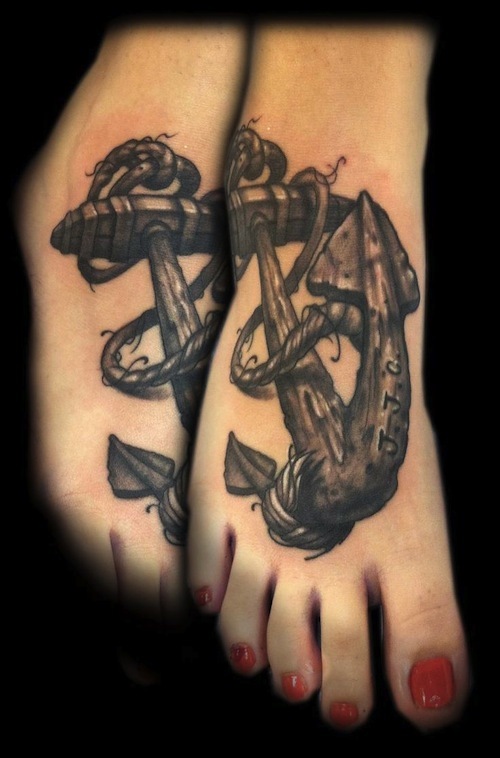 This super detailed, 3D anchor takes up quite a lot of space on this wearer’s foot. Quite an amazing effect!